Santa Cruz' Carnival 2017 continues on Ash Wednesday, 1st March with the Burial of the Sardine, which also takes place simultaneously in Puerto de la Cruz. The curious tradition signifies the end of the carnival celebrations and excesses and the arrival of lent. 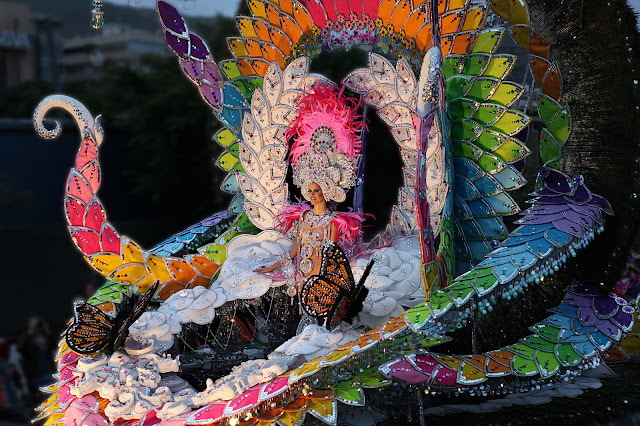 Carnivals in the south take place this month: Los Gigantes runs from March 9th - March 18th, while Los Cristianos carnival is from March 17th - March 27th. Sunday, 19th March 2017 is Día del Padre (Father's Day) in Spain. In Catholic Europe, it has been celebrated on March 19 (St. Joseph's Day) since the Middle Ages. Here are the rest of the still upcoming Tenerife Carnival Dates for 2017. There are no public holidays in Tenerife in March. Likewise, there are no local public holidays in individual municipalities this month.